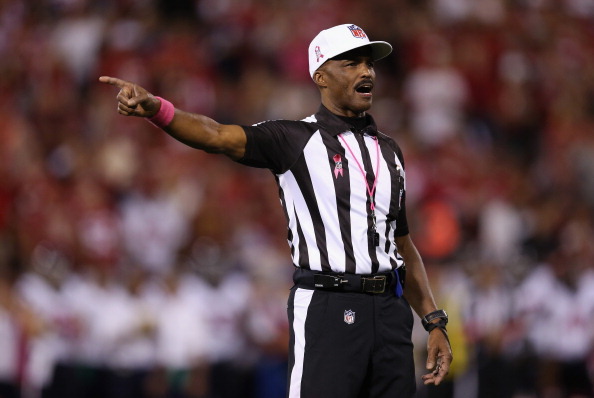 Mike Carey is reportedly done as the NFL rules analyst at CBS. Bob Raissman of the New York Daily News reports CBS Sports is not expected to bring back Carey for its football coverage for the 2016 season. He writes CBS is unlikely to replace Carey with another retired official, but instead may opt to use NFL VP of officiating Dean Blandino on a live broadcast. Carey was always an awkward fit since he joined CBS Sports in 2014 as a rules analyst. He’s been criticized for being wrong more than he’s right (you could even bet on it), for having a stiff, unnatural TV persona and was routinely killed on social media for his analysis (if that’s what you want to call it, anyway) and on-screen presence. CBS President Sean McManus even admitted Carey didn’t come off well on TV. Funny enough, Carey actually got more calls right than wrong, but his personality mixed with every time he got a big call wrong didn’t help his reputation the NFL’s audience. Carey never seemed to be a fit for television, and CBS finally realized this and decided to move on from him. Carey wasn’t let go because he did something necessarily wrong. He wasn’t a bad guy or embroiled in any controversy at the network. It just didn’t work, which happens sometimes. It took two years for CBS to see the light, but Carey and their broadcast are better off now that they’ve parted ways.